There are many occasions where additional light is required into a home or office space, an economical way is to introduce VELUX Windows. These are not suitable for flat roofs but ideally fit into conventional sloping tiled roofs. 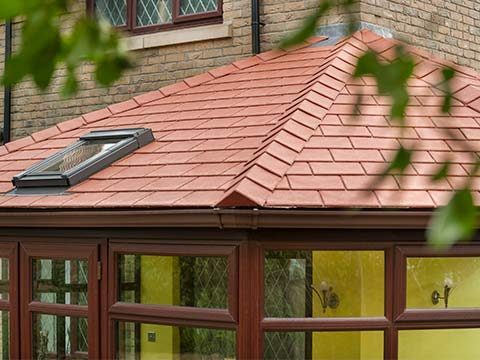 Typical installation locations include loft conversions and vaulted roof areas. 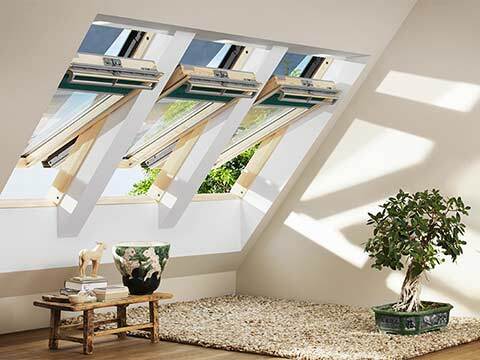 We display in our showroom two Velux windows which can be opened and closed. 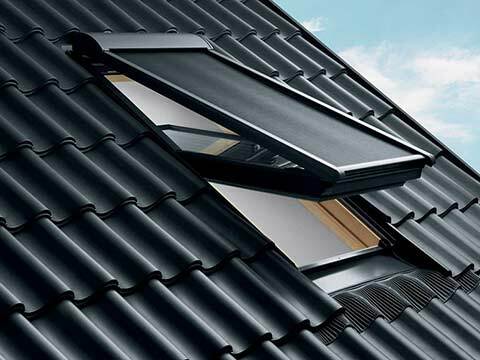 VELUX roof windows are the only ones designed with top operation. 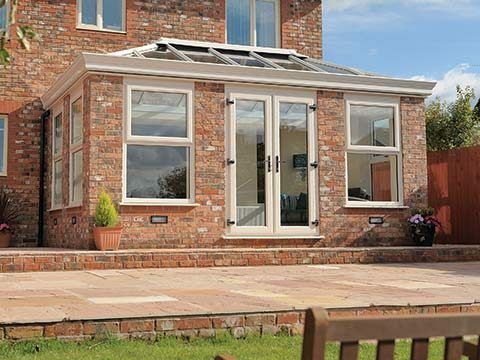 A centre-pivot roof window is simple to operate even when furniture is placed directly below. The easy operation isn’t effected even when furniture is below, standing or seated the centre-pivot opener gives a better view than an equivalent bottom opening window. 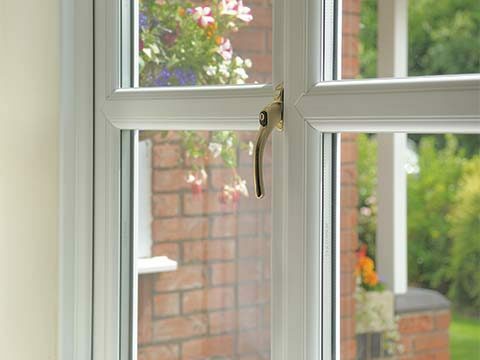 Quick, simple, stylish smart, easily operated by a stylish handle at the bottom, recommend for loft conversions or where the window handle is easy reach. The perfect choice for panoramic views and a feeling of space and light. 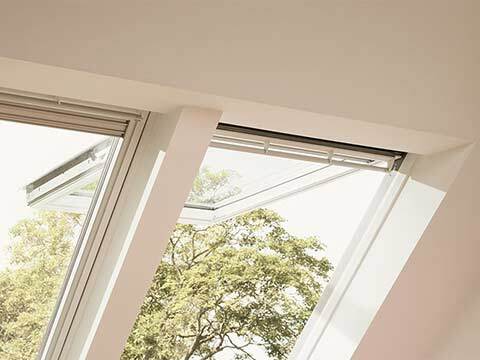 The VELUX INTEGRA roof window gives ultimate comfort with a simple to use remote-controller. This easy operation window comes with the new VELUX INTEGRA control pad which can control all your windows and accessories – including blinds, awning blinds and roller shutters – from anywhere in your home. If it starts raining a pre-fitted sensor can close your roof window automatically. 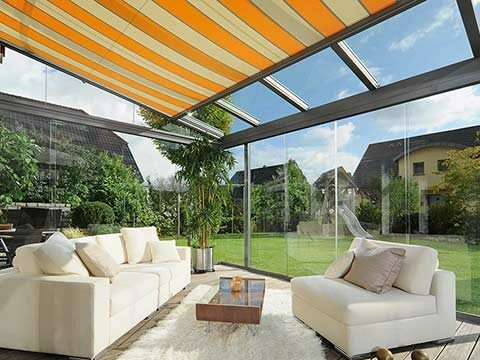 This is a superb addition to home where any roof opening is out of reach. 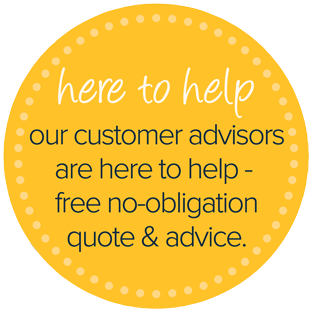 Simple, easy to operate and a clear market leader. 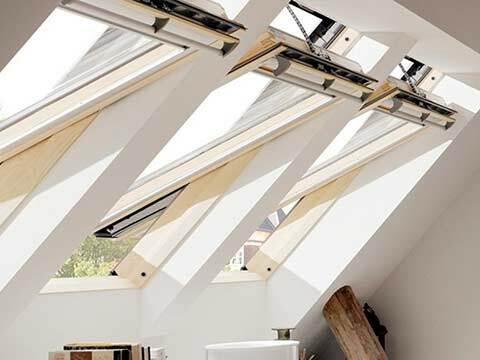 VELUX® have always understood the impact that natural light can bring to our homes and workplaces. Building regs relating to insulation and air-tightness of roof windows are becoming more demanding. 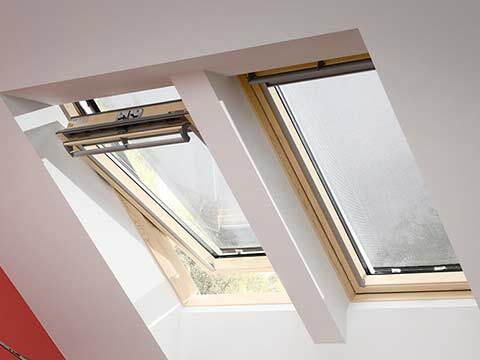 VELUX have developed a range of installation products to help make it quick and easy to be compliant, the range also offers increased energy efficiency. Examples of their technology include a complete vapour barrier collars, fully welded in all corners, fully welded rubber gaskets with a double pressure seal to guarantees speedy installation and a vapour and air tight solution. 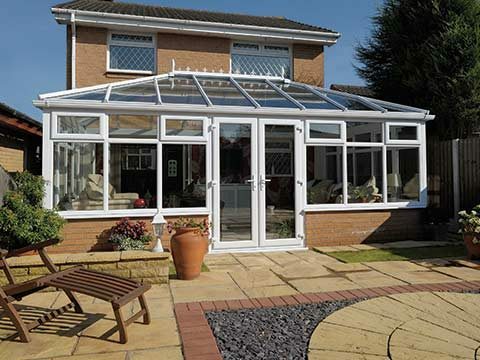 Glazing options provide heat insulation, reduced sound and noise and add strength and protection from all weather conditions. 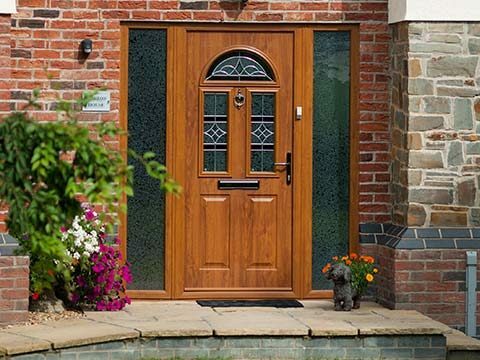 Available glazing options includes double and triple glazed units. 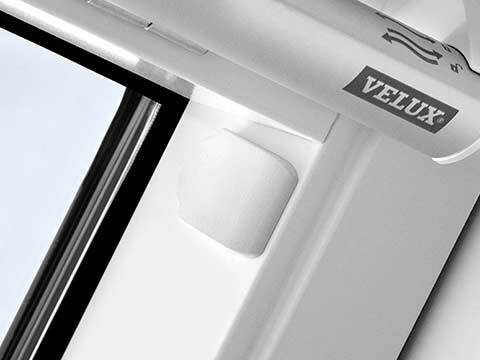 Laminated safety glass is used as a standard in VELUX Windows. 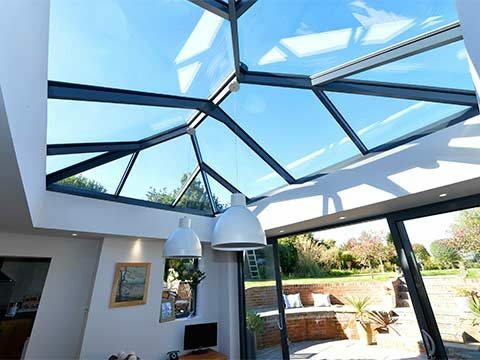 Take a look at our Skylight gallery to compare the appearance of our different skylights and roof windows. 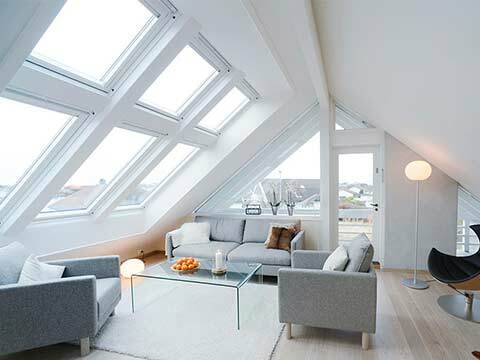 VELUX windows are Simple, stylish and very functional. One consideration which Velux has explored brilliantly is there use of blinds and shades which include Blackout blinds in 36 different colours and designs including 12 cool and sensational designs from the Disney & VELUX Dream Collection. The Duo blackout blind is a blackout blind and a pleated blind in one. It offers the best of both worlds: Blackout at any time and softly diffused natural light all day. It is available in all blackout blind colours in combination with a white, pleated blind. For the Eco buyer there’s even a blind that improves the windows insulation further with the double-pleated blackout cloth with an aluminium honeycomb structure inside that improves window insulation by up to 26%. And because they are not fixed at the top or bottom, they can be positioned anywhere in the window to provide variable blackout, light control and privacy. White painted finish – bright white finish with discreet woodgrain. Painted before assembly for flawless finish. Anti-fungal treatment for wood longevity. White Polyurethane finish – Wooden core encased in moisture-resistant polyurethane – first choice for humid rooms like kitchens and bathrooms. 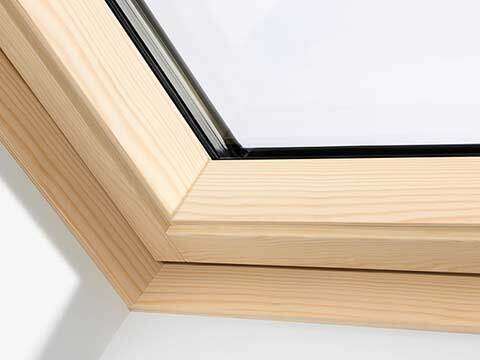 Pine finish – matches traditional interiors and protective triple coat lacquer helps preserve the timber of the window.